Vintage chic crochet lace ruffle white cotton sheet set. 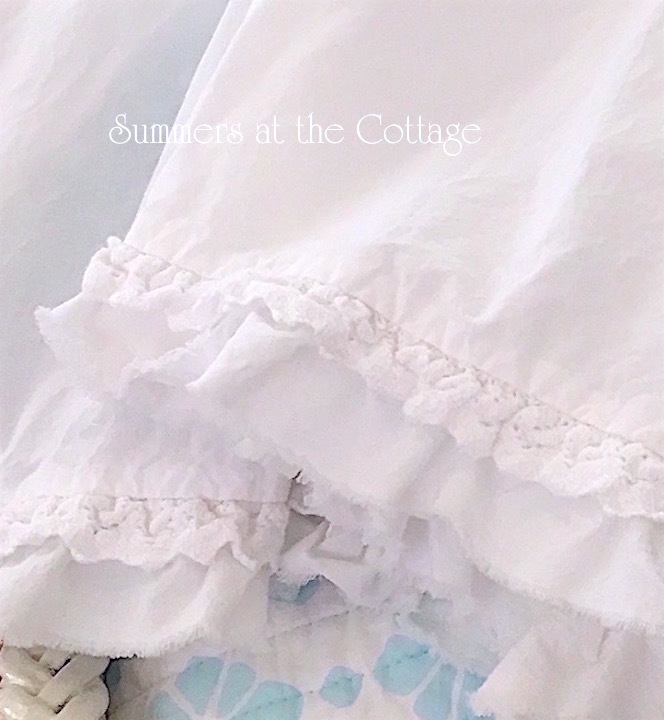 Beautiful fine linens with pure white soft cotton and a chic frayed edge ruffle with crochet lace accents on the pillow cases and the top flat sheet. 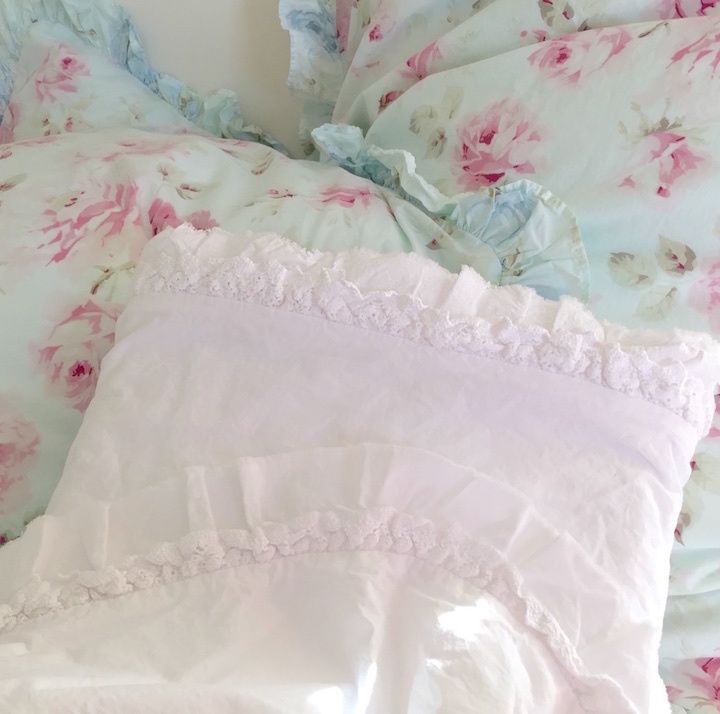 This brand new white ruffles sheet set is just perfect with any of the linens and bedding we offer. With the softest cotton, each set includes one FLAT top sheet with ruffles, one FITTED sheet (with deep pockets to accommodate today's plush mattresses or down / feather beds), and two pillow cases with a ruffle on the end! 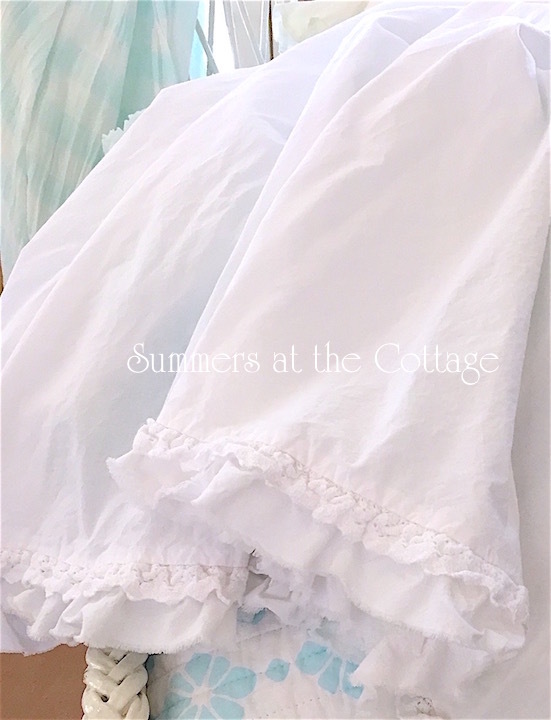 So lovely with all of the bedding we carry at Summers at the Cottage.